I love this spaghetti and meatball recipe. 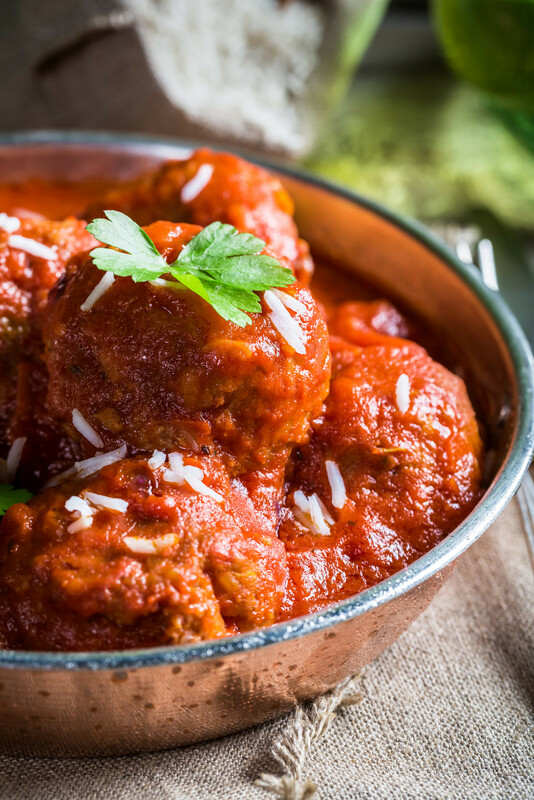 The meatballs are so tender and flavorful and the sauce is perfectly seasoned with sweet basil - it will soon become a family favorite. Serve with fresh garlic bread. In a large bowl, mix ground beef, Italian sausage and half of the onion/garlic mixture together. Add the egg mixture and the remaining meatball ingredients. Mix well and form into meat balls the size of a silver dollar. Place in refrigerator. In a dutch oven or stock pot, add the remaining half of the sauteed garlic mixture with the tomatoes, tomato paste, tomato sauce and water. Stir to mix. Add the fresh mushrooms, garlic and onion powder, basil, parsley, brown sugar, salt, ground black pepper and crushed red pepper (if you are using it). Mix well and bring to a slow boil. Reduce heat, add wine and simmer for 1 hour. Add the raw meatballs and simmer for another 45 minutes. During the last 15 minutes of cooking, boil the noodles in 1 TBS of canola oil; drain. Serve with Parmesan cheese on top.